The Senate Judiciary Committee has demanded that federal agencies disclose whether they were aware that the FBI had evidence of Russians bribing their way into the U.S. nuclear industry before the Obama administration approved a controversial uranium deal with Moscow in 2010. 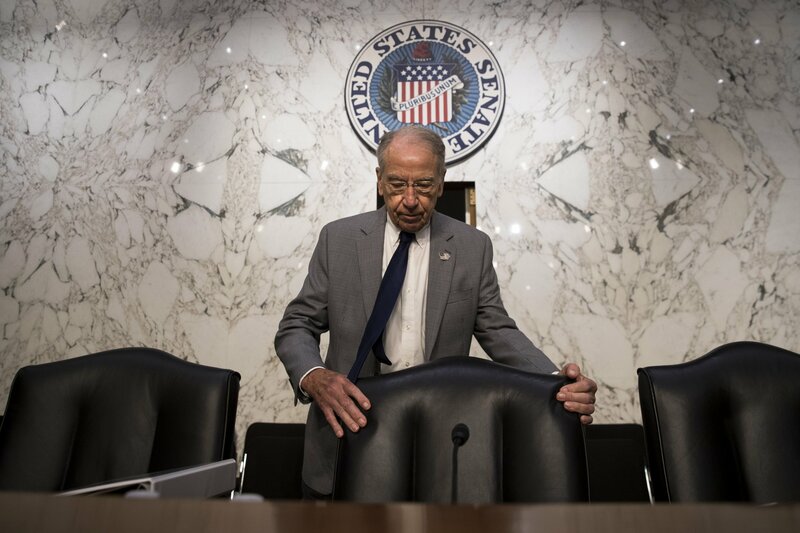 The committee's chairman Republican Sen. Chuck Grassley is expected to grill Attorney General Jeff Sessions on Wednesday on a racketeering scheme that the FBI uncovered but kept under wraps for four years, The Hill reported on Tuesday night. In a letter last week to the U.S. Department of Homeland Security obtained by The Hill, the Iowa senator wrote, "I am not convinced by these assurances" the Obama administration provided in 2015 that no evidence existed suggesting they should block the deal that allowed Russia's Rosatom to purchase the Uranium One mining company and control 20 percent of the U.S.'s uranium. "The sale of Uranium One resulted in a Russian government takeover of a significant portion of U.S. uranium mining capacity," Grassley wrote. "In light of that fact, very serious questions remain about the basis for the finding that this transaction did not threaten to impair U.S. national security." In the letter, Grassley also demanded to know if President Barack Obama's Committee on Foreign Investment in the United States – which approved the deal and included key officials such as Attorney General Eric Holder and Secretary of State Hillary Clinton – knew about the FBI's findings before voting. Clinton, whose husband's foundation received millions of dollars from Russian officials, has denied knowledge of the racketeering. Grassley also asked whether the evidence brought forth a national security threat should have stopped the deal. "The fact that Rosatom subsidiaries in the United States were under criminal investigation as a result of a U.S. intelligence operation apparently around the time CFIUS approved the Uranium One/Rosatom transaction raises questions about whether that information factored into CFIUS' decision to approve the transaction," Grassley said in a different letter to Sessions obtained by The Hill. FBI officials infiltrated the Russian nuclear industry and obtained evidence in 2009 and 2010 but the Department of Justice did not bring charges until 2014. Requests for information were sent out to 10 federal agencies that played a role in the uranium deal approval.